Just dropping in to say that my book Shadowed has gotten a great review over at Horrorphilia.com. Thanks to Gabino Iglesias for the kind words! I know, I know. My day job is done until late August and my class ended the other night so I am in full-time writing mode, which includes coming here and pontificating a bit. The novella that I finished the first draft of back in February just had its second draft completed. My goal is to have the next (and final) draft done in two weeks and begin the process of marketing it. We’ll see how that goes. Now I’m jumping into editing/revising the novel, Echoes on the Pond, which has taken far too much time. I may also work on something new. I haven’t written many short stories for a while and I have several first drafts sitting here, so I may go into short story mode for a bit, while I work on Echoes on the Pond. In my last post, I talked about doing the radio show Spooky Southcoast and how much fun it was, etc. & so on, (haven’t seen the video yet? Check it out, or listen to the broadcast by searching my name on iTunes). What I forgot to mention was how dumb I felt toward the end of the show. The show broadcasts from 10 PM to midnight, Eastern, and I was very tired before going in. Toward the end of the show, I began to truly feel tired and was losing my train of thought. So when host Tim Weisberg asked me if there was anyone new out there in the world of horror, I couldn’t think of anything. I mentioned Joe Hill, who is great, and then I mumbled something about how more people should read Harlan Ellison, a classic but a great, and that was about it. I had wanted to mention John R. Little. John has supported me a lot and I even looked down at my to-be-read pile and saw his collection Little Things before leaving for the show and made a mental note to mention him. Unfortunately, the mental note got lost amongst the other stuff tumbling around my brain. So, that said, check out John R. Little, a writer who I admire. I’m sure there are others I’m forgetting even now, but…. Okay, so now the bookselling news. Yesterday, Horror Mall announced that they are no longer selling Bad Moon Books publications. Both companies have posts concerning the abrupt end but I choose not to talk about it here. Both companies are responsible for my two current novellas, so it would behoove me to not say a damn thing. Besides, I’m not entirely sure what’s going on and, as long as the checks for both novellas keep coming, I’m good. So, for people who may have ordered Alice on the Shelf through Horror Mall, know that those orders will be filled, no sweat. For those who haven’t ordered the novella but are planning to, or if you are planning on ordering Alice on the Shelf for a friend, or if you are simply referring the novella to people, this is the place where you should send them now. Shadowed is still available here. 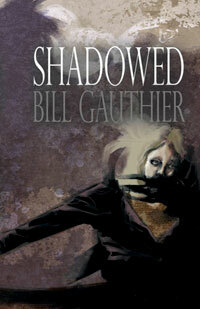 The ebook for Shadowed is available wherever ebooks are sold, but Darkside Digital is the best place to get it. The ebook for Alice on the Shelf is also available everywhere ebooks are sold, but is also available through Crossroad Press. That’s it for now. I have a bunch of editing to do and intend to get into it. Later. …doesn’t mean vacation from work. I think I will be able to finish the novella that I wrote about in my last post this week. Aside from that, I have a bunch of other things to do in general. So it’s a vacation on paper only. Still, it’s much-needed. All right, now to go along with Sheri White’s positive review of Alice on the Shelf, we have two more positive reviews. One is by Don D’Ammassa and the other is by Trevor Nordgren for Dark Discoveries. There has also been so kind words on a few message board scattered around the internet. Thanks to those who have shown Alice… some love and, please, keep the good word-of-mouth going. And while I have you here, I wanted to gently remind you that Shadowed is due to be published in a few weeks by Delirium Books. This is a very different kind of story than Alice on the Shelf but I like the story quite a bit. Hopefully, you will, too. Click here to pre-order a copy while there are still some to order. That’s it for now. Thanks for the continued support! The Time, How It Flies! Man, I’m tired. Slept 12 hours the other day. I began a class last week. The day job has been hectic. There’s been more snow than there’s any right to be. And I’m tired. But you’re not here to listen to me kvetch, are you? What you want to know is about what’s happening right now. Well, luckily, that’s what I’m here for, too. 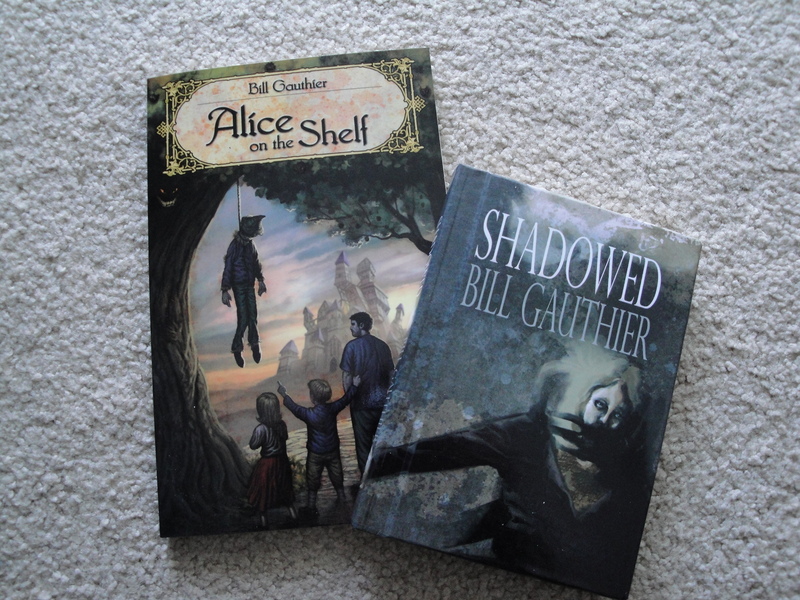 I want to thank those who ordered Alice on the Shelf and pre-ordered Shadowed. According to this post, both are bestsellers at Horror Mall. Still, I think we can do better. So if you’ve already ordered, recommend the books to friends who might like horror/dark fantasy books. If you haven’t ordered them yet, what are you waiting for? So today is officially one week until Delirium Books puts Shadowed up for pre-orders. The novella will be out in March in Delirium’s mini-hardcover format. But that’s not all, folks! Last night, Roy Robbins of Bad Moon Books officially announced my novella Alice on the Shelf! Alice on the Shelf is a very dear story to me. It’s also quite different in terms of style and content than Shadowed. 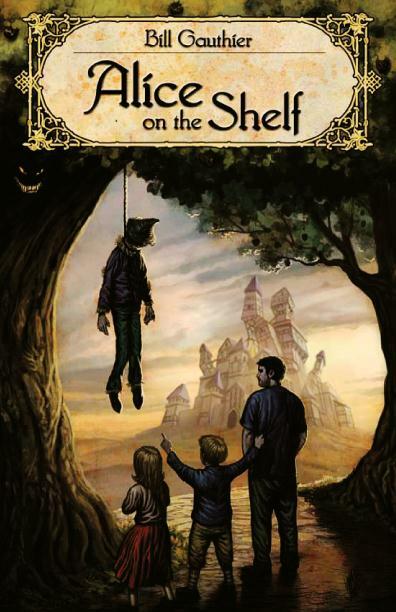 Imagine a kid who grew up watching Star Wars, playing with action figures, reading Stephen King and Harlan Ellison and Lewis Carroll, listening to classic nursery rhymes and fairy tales, watched the annual televised viewing of The Wizard of Oz and then read L. Frank Baum’s masterpiece as an adult. Imagine this kid as an adult delving into the muck that all these things left behind to write a story about unrequited love. The story that comes out is Alice on the Shelf. You can pre-order the book here at Horror Mall, the Dark Literature Emporium. Everyone who has read this story seems to love it. They also get a little upset. On more than one occasion I’ve heard, “I was just going to read a chapter or two and then go to bed, but I couldn’t put it down!” This isn’t just friends who have said this, either. So, there are two novellas of mine being published within three months of each other. Neither are very long, both are with award-winning publishers, and both tell very different stories. Now, I must go and work on a new novella.